To begin creating a minimal wardrobe you first need to spring clean your old one. 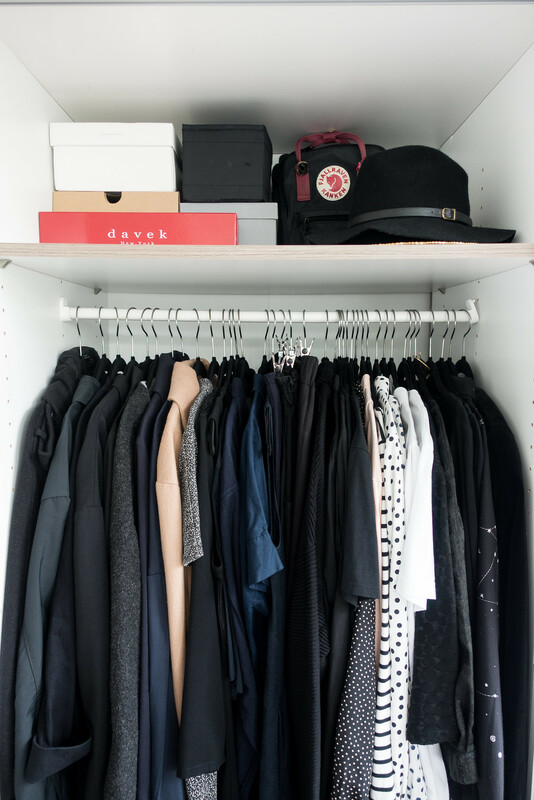 Do this regularly (and ruthlessly) to make sure you're not overlooking anything or hoarding items you never wear. That's where the 5-step method comes into play; each step is devised to help declutter, streamline, and build upon your current wardrobe so you can curate a style that reflects your personality and suits your lifestyle. 1. Do I wear this regularly? If not, why? 2. Does this item fit into my overall style? 3. Can I create various outfits with this one item? 4. Is it comfortable and flattering? Do I feel good wearing it? 5. Do I love wearing this item or do I just like the way it looks on the hanger? 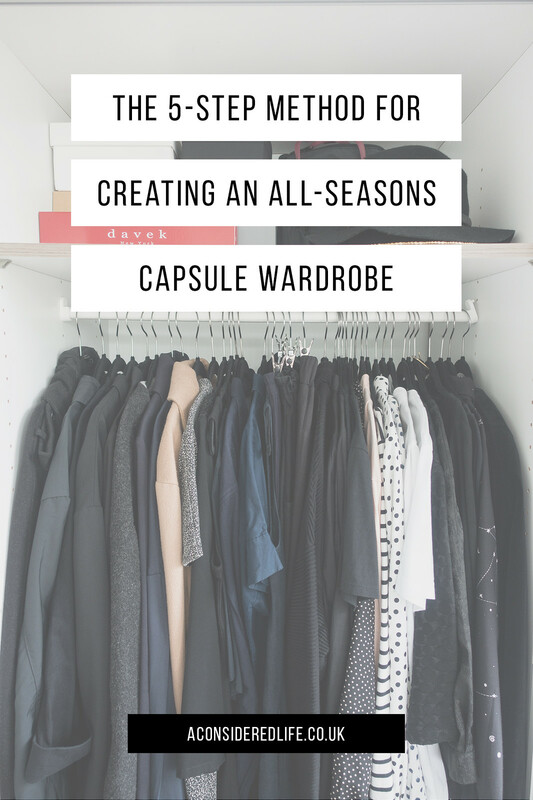 Following the 5-step method will help you to lay the foundations for an all-seasons capsule wardrobe. Only keep what you enjoy wearing, what is in good condition, and what makes you feel comfortable; and only buy what you'll realistically wear. If you haven't worn something in six months you probably won't ever wear it (with a few exceptions). If a piece of clothing or pair of shoes don't fit into your daily life and only look good with a couple of outfits, don't buy them. Since the goal is to own only pieces of clothing that you wear regularly and love, it's wise to get rid of anything unworn and avoid impulse purchases.